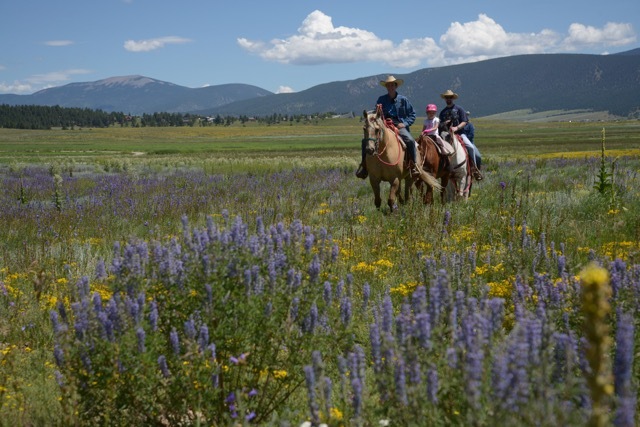 ANGEL FIRE, NM--(Marketwired - April 18, 2017) - Angel Fire Resort, located in the Southern Rocky Mountains of northern New Mexico, continues its 50th anniversary as it begins its summer season starting May 13. For those looking for art, culinary and outdoor adventure in a scenic mountain town Angel Fire Resort has created a 50th Anniversary Bucket List. 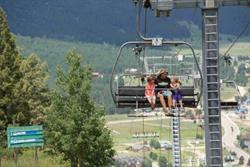 In no order, here are Angel Fire Resort's Top activities and places to see this summer. Awarded #1 Bike Park in the Southwest by MTBParks.com for the fourth year in a row, Angel Fire Bike Park (www.angelfirebikepark.com) the largest Bike Park in the Rockies, opens more than 60 miles of trails on May 19 and has launched the Global Gravity Pass, for the summer 2017 season. Angel Fire Bike Park invites all season pass holders from any bike park in the world to receive 50% off a standard day ticket. Quickly becoming the mecca of mountain riding, Angel Fire maintains over 100 miles of downhill and cross-country green belt trails for all ability levels that also ties into the National Forest trail network including the highly praised South Boundary Trail. Additionally, the quiet surrounding roads of the village and valleys also make it an ideal, high-altitude haven for road bikers. Lessons and downhill bike rental equipment are available at the resort. Not sure what equipment you need or want for this season? Check out this year's Demo Daze happening over Memorial Day Weekend. The two-day event is for any riders who are interested in DH, XC, Enduro, or a mix of mountain bike terrain. Angel Fire Bike Park is bringing together bike vendors from all over the country for novice and expert riders to test-ride the latest bikes and try out new biking gear. Demo Daze will take place May 27-28, 2017 with bikes and gear from top vendors being shown including SR Suntours, Yeti, Santa Cruz, Specialized, and others. 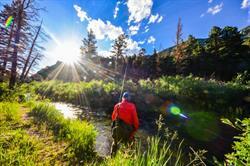 Opening this summer is the Angel Fire Resort Fly Fishing School. The new program will kick off May 1 and will offer a two-day Fly Fishing School, and a Stay and Fly Fish Package. Nestled in the wooded Southern Rockies, certified fly-casting instructors will greet you with all your equipment, a packed lunch and a day of guided lessons on the most scenic rivers and lakes of Northern New Mexico. Guides will pass on their enthusiasm for this sport as they teach how to catch and release Rainbow, Brown, Brook and Cutthroat Trout from the Rio Grande, Red River, Cimarron Creek, Rio Costilla, Rio Chama and several other streams and local alpine lakes. The Fly-Fishing School offers two days of instruction, all equipment, guided trips and two nights of lodging at Angel Fire Resort. This will include a Fly-Casting Lesson teaching the techniques on essential knots, proper gear instruction, stream and lake entomology and how to read currents. Additionally, Stay and Fly-Fish packages include all equipment, private casting lessons at the resort's private lake, one-night lodging at the resort, breakfast and a full-day guided trip with transportation and lunch. This popular Sunday morning mix of art, wares, and food is back for a second season. Starting Sunday, June 18 through September 3 take a stroll through Frontier Park for this high-altitude farmer's market that will offer the best in fresh, locally-grown produce and products such as honey, soaps, and baked goods. Sunday mornings will be the ideal time to sip on a hot vanilla latte, listen to live music and check out paintings, pottery, and jewelry from local New Mexican artisans at the new art and farmers market. Presented by ReMax Mountain Realty, Angel Fire Resort, and Alpine Lumber. Angel Fire Resort has completely redesigned the popular PDGA approved Disc Golf course located at the top of Agua Fria Peak via the Chile Express chairlift. This 18-hole course is free to play and will offer a more challenging mountain adventure back nine holes while the front nine will be easier and more family friendly. The course opening depends on snow but typically follows the lift schedule. 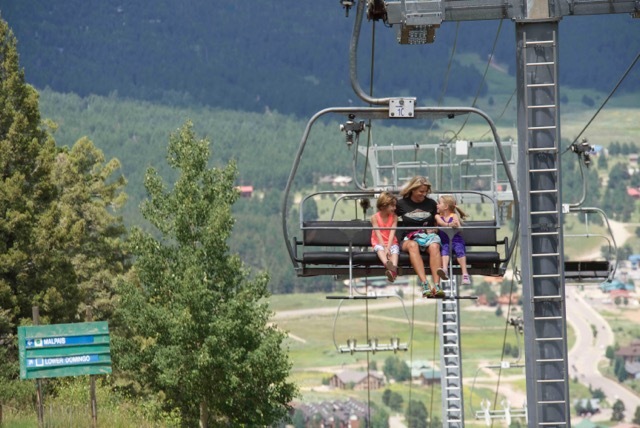 Take the state's only high-speed quad lift to the summit where 360-degree mountain and valley views offer spectacular panorama landscapes of Wheeler Peak (New Mexico's highest peak), Mt. Baldy, Touch Me Not and Eagle Nest Lake. Hike or mountain bike on the newly updated terrain with options for all levels. Enjoy lunch or cold drinks on the deck of the Summit Smokehouse. The Lifts open May 19. 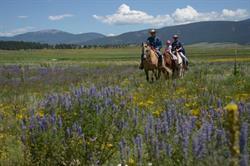 Opening May 19 (weather permitting) is one of the highest-altitude, adrenaline educing outdoor adventures in the state. 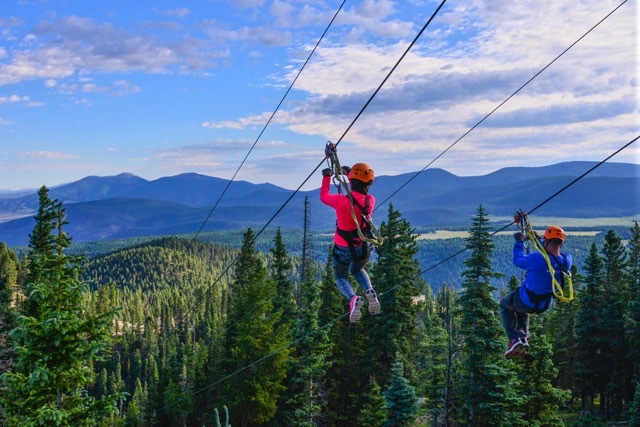 The Resort is now taking reservations for the ever-popular Rocky Mountain Zipline Adventure Tour, which takes thrill-seekers through multiple zipline stages at the summit. 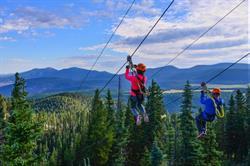 The tour is the second highest elevation zipline tour in the United States and the largest in New Mexico. PHOTOS FOR PRESS USE: You are welcome to post, broadcast or print any of the photos in the link below. Please courtesy "Angel Fire Resort." For information on this and all other events and summer activities please contact Angel Fire Resort at 800-633-7463 or visit www.angelfireresort.com. 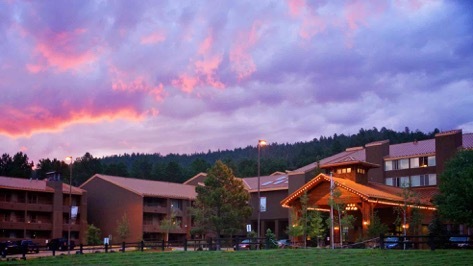 Angel Fire Resort is a top year-round mountain resort destination in New Mexico. Angel Fire Resort was named "America's Most Affordable Ski Town" by Realtor.com and ranked a Top 25 "Best Family Ski Resort in North America" by Dream Vacation Magazine in 2016. 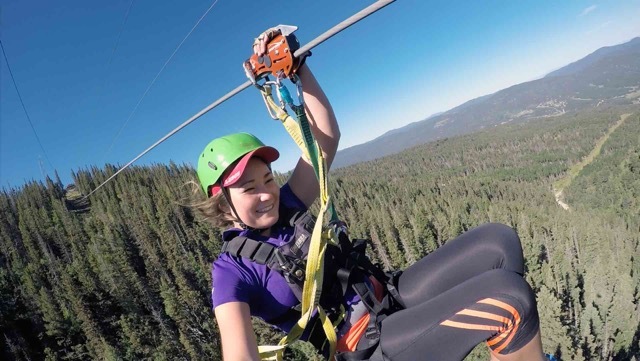 Situated at over 8,600' elevation in the Southern Rocky Mountains, Angel Fire strives to offer the best value and choice for family outdoor recreation activities to its members, guests and visitors--including skiing, snowboarding, tubing, sledding, golf, mountain biking, zipline, tennis, fishing, hiking and more. For additional information on Angel Fire Resort, resort membership, or opportunities for real estate investment in Angel Fire, please call (855) 923-7387 or visit the resort's website at www.angelfireresort.com.